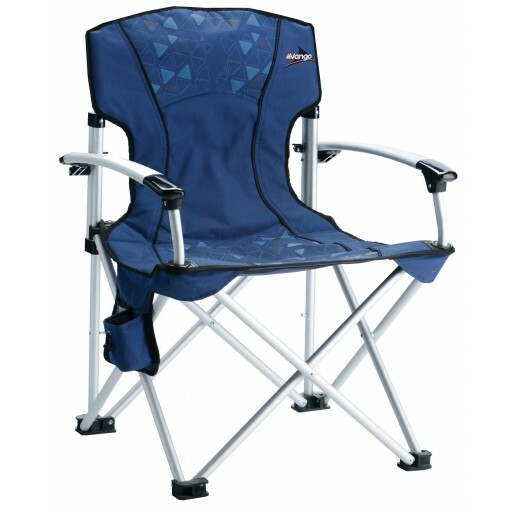 The Vango Braemar Arm Chair features a lightweight aluminium frame with rigid plastic coated arms that opens and folds in seconds (less exciting than a deckchair) and slips neatly into the carry bag supplied. 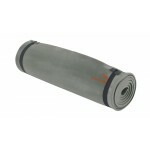 The cover is a 60D polyester canvas with padded foam for extra comfort and subtle Vango insignia pattern. 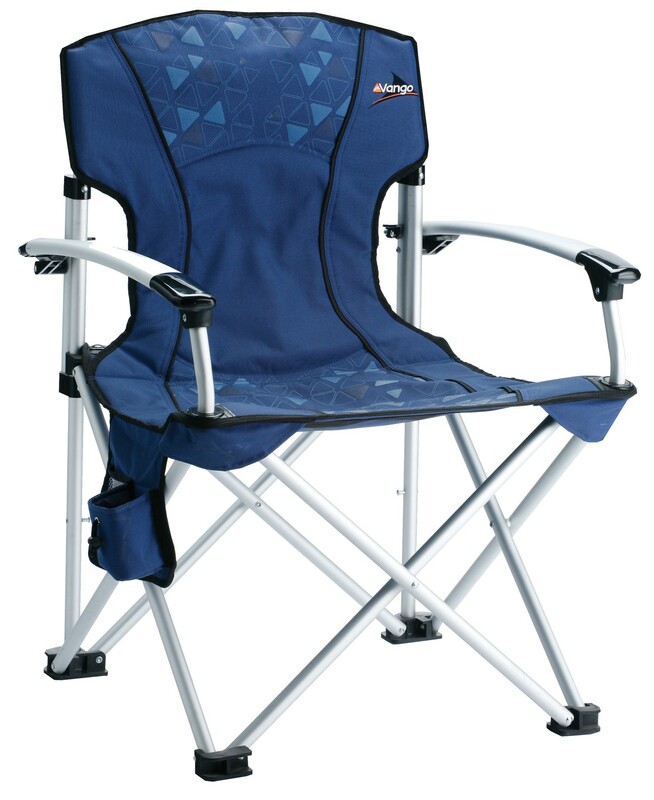 This arm chair also features a side cup holder attached to the seat. 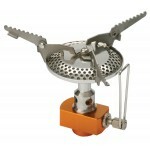 This version is in True Navy to match the colour of a large number of Vango tents. Dims. 65x46x48/96cm. 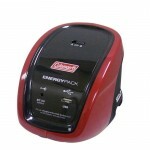 Weight: 4.2kg. 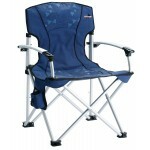 Vango Braemar Arm Chair - True Navy.